a Valentine's gift one year from the Artist. had a treasure or two, tucked away for stolen moments away from the garden and the coop. That Artist is a keeper. What wonderful words and such a beautiful perfume bottle! I think what you said is a good idea even today...every farm girl needs something special that is not farm related that they can enjoy when they find the time to steal a few moment for themselves. Beautiful textured photo! The color is amazing and I love what you did with the negative space. Thank you for sharing and for linking up with Tones on Tuesday! The Artist has impeccable taste! Beautiful image and texture edit. 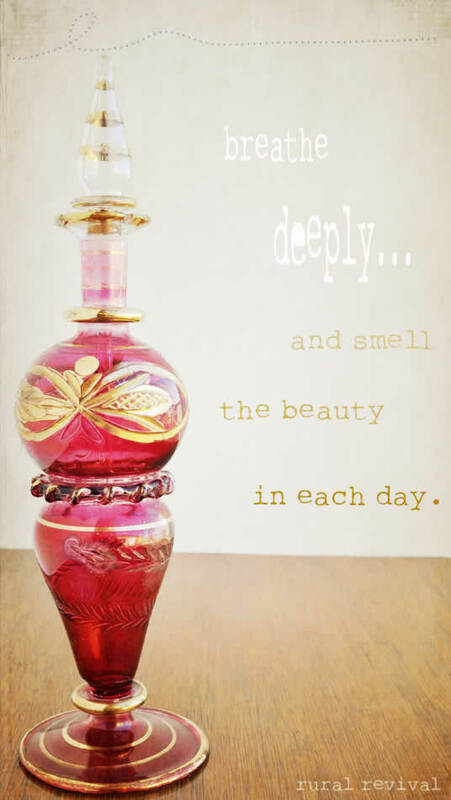 Love the quote and what a beautiful perfume bottle. Great shot and use of texture.